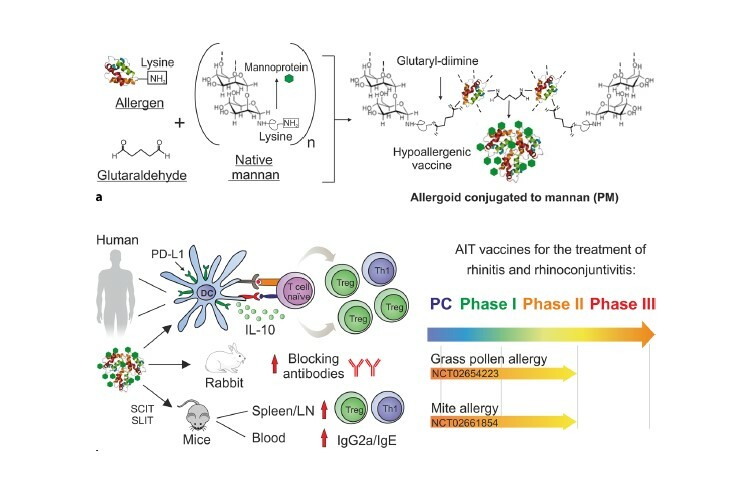 A review has been published in Allergo Journal International about novel vaccines targeting dendritic cells based on the conjugation of allergoids to nonoxidized mannan. These represent a next generation of allergy vaccines developed by INMUNOTEK. The publication reviews these glycoconjugates in terms of their ability to be recognized by the antigen-presenting cells, their immunomodulatory properties and clinical development. 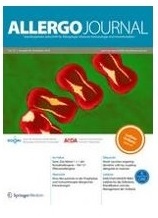 Allergo Journal International is the official Journal of the German Society for Allergology and Clinical Immunology (DGAKI) and of the Medical Association of German Allergologists [Ärzteverband der Deutschen Allergologen (ÄDA)]. This review has been highlighted in the German edition of the journal. A pilot study of immunotherapy in dogs with atopic dermatitis using a mannan-Dermatophagoides farinae allergoid targeting dendritic cells. González JL, Zalve V, Fernández-Caldas E, Cases B, Subiza JL, Casanovas M. Vet Dermatol. 2018 Oct;29(5):449-e152. doi: 10.1111/vde.12679.